The Old Rectory, Rosbercon, New Ross, Co Wexford built in 1812, renovated and refurbished by Jamie and Denise Doyle of Doyles funeral directors in 2014 and opened for it's first funeral in September of that year. The building stands on 2.4acres with mature trees and lawns with ample private parking on the grounds. The building consists of two viewing rooms, two family rooms, a tea station, coffin showroom, prep room, public toilets, office and a double bay garage and stores. Jamie has completed the IAFD course of education and training in the IAFD code of practice, certificate in funeral practice, a FETAC level 5 course designed and delivered by the IAFD. 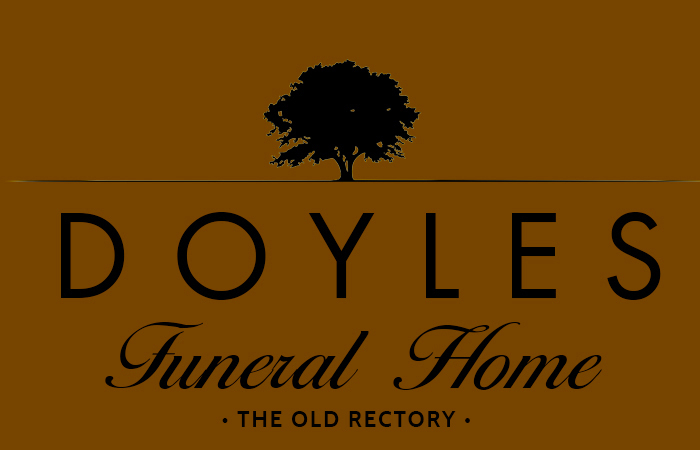 Jamie has many years experience in the funeral industry and is a second generation funeral director. Denise Doyle has trained with Tallon Mortuary Specialists school of Embalming and after satisfying the council of British Institute of Embalmers was duly admitted membership of their institute. At Doyles Funeral Home We offer a personalised funeral service tailored to meet the specific needs and demands of families who require our services. We all work to the highest of standards from the initial contact the family make through to the completion of the funeral.